You come back home from work, a nice dinner, brunch with your crew, or even from a day-long vacation and are greeted with that all-too-familiar scent. Your lovable kitty-cat has made a mess outside of their litterbox, and now you’re charged with the very humbling task of cleaning up the mess and figuring out how to eliminate the smell, too. If this sounds like a familiar story, you’re definitely not alone. Though cats are inherently “potty trained” and prefer using the litter box from kittenhood, there are times when they just… don’t. Below, we’ve outlined some of the most common reasons why your cat is giving you grief when it comes to #1 and #2. We’ve also provided some tips for addressing the issue so you can curb behavior (or in some cases, quickly provide your cat with some relief). Your Cat Isn’t Feeling Well — One of the best ways we can get a reading on our pet’s health is to watch their bathroom behavior. If your cat is suddenly not using the litter box, this could be indicative of an underlying health issue. This is especially true if you notice a change in the consistency of their urine or feces. Diarrhea, constipation, blood in urine, thick urine, etc. mean you should take your cat to the vet right away for assessment. Your vet can run some diagnostic tests to pinpoint the issue and help find your kitty some much-needed relief. They’re Stressed or Anxious — Cats who are highly nervous or anxious will sometimes find a “safe” place to do their business versus the litter box. Going to the bathroom puts them in a really vulnerable position, so it makes sense that they would want to feel as safe as possible while they do so. Some ways to curb this is to make sure the litter is in a space that’s free of loud noises or sudden movements. You can also speak with your vet about anti-anxiety options, which are available both over-the-counter and via prescription. It’s Happening Accidentally — In the same way young children (and let’s face it, some adults) “miss” when they’re using the toilet, this can happen with your cat, as well. 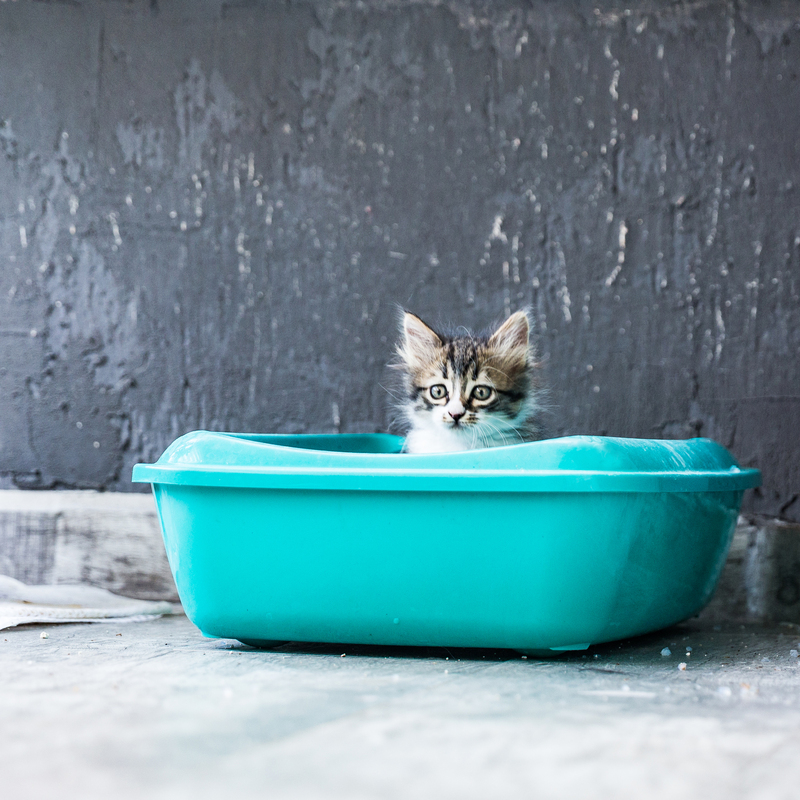 Cats crouch over their litter box, but sometimes they position themselves too close to the edge and feces or urine can end up on the wrong side of the box. If the litter box is in a cramped space, try moving it somewhere more open. You can also place the box on top of newspaper or a washable mat to help catch rogue excrement and litter (which may be necessary if you live in a smaller space without many litter box options). The Box Isn’t As Clean As They’d Like — A litter box that hasn’t been cleaned in a few days is like shuffling through a landmine of poo and pee. Nobody wants to deal with that, including fluffy. Make a habit of cleaning your cat’s litter box on a daily basis and switch out the litter completely at least once every two weeks. They Don’t Like Sharing — If you live in a multi-cat household, that means you should also live in a multi-litter box household. Not only does the litter box fill up more quickly with numerous felines, but cats are pretty territorial and don’t like sharing. The rule of thumb is to have one litter box per cat, plus an extra one. Again, make sure all of them are cleaned regularly. Your Cat is Not Happy with You — While dogs are known for their ability to quickly forgive and forget, cats can definitely hold a grudge. If you forgot to feed them on time, if you traveled extensively, or if you haven’t been spending enough cuddle time with them, they’ll communicate via their bathroom behavior. Shower your kitty with as much affection as they want and make sure their needs are being met, and that should help curb the issue. The Litter isn’t To Their Satisfaction — Cats are notoriously picky in general, and this can extend to their litter situation with some refusing to use certain types of litter. Odd textures and heavily fragranced litters are common triggers. Try switching out the litter and see how they respond. Also try adjusting how much litter you’re putting into the box. It should be deep enough, but not too deep — about two to three inches. As an aside, humans are pretty picky when it comes to choosing the perfect toilet paper (some of us even go so far as to insist it’s placed a certain way on the holder), so it’s a perfectly reasonable complaint when you think about it! Figuring out why your cat is going outside of the litter box may take some trial and error. Following the above advice should hopefully give you some direction, though, so that you and your kitty can live in stink-free harmony together. Symptoms like going outside the litter box can mean a chronic condition that needs vet attention. 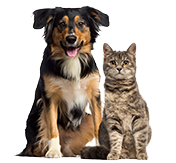 By having pet insurance, you can say “yes” to treatments and prescriptions that may be necessary for unplanned ongoing illnesses. You can start by getting a free quote.